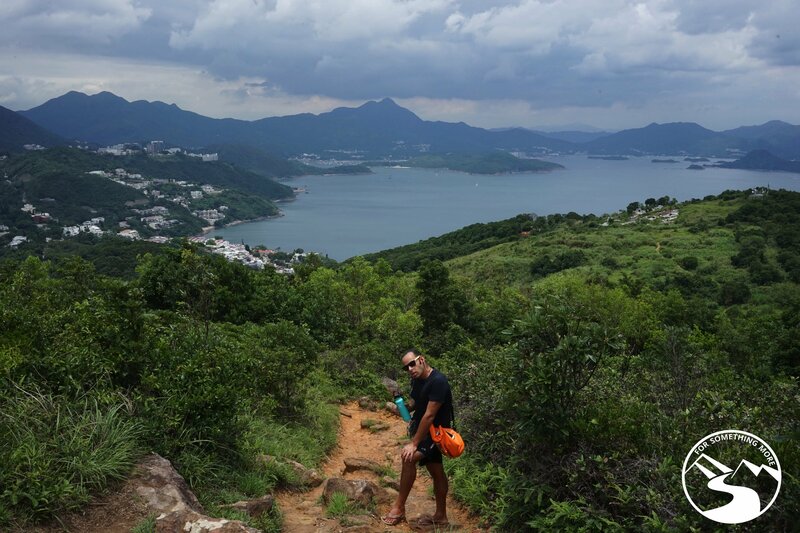 If you hike High Junk Peak, you will quickly realize you’ve just experienced one of the most unsung hikes Hong Kong has to offer. It is seldom crowded and only of moderate difficulty. 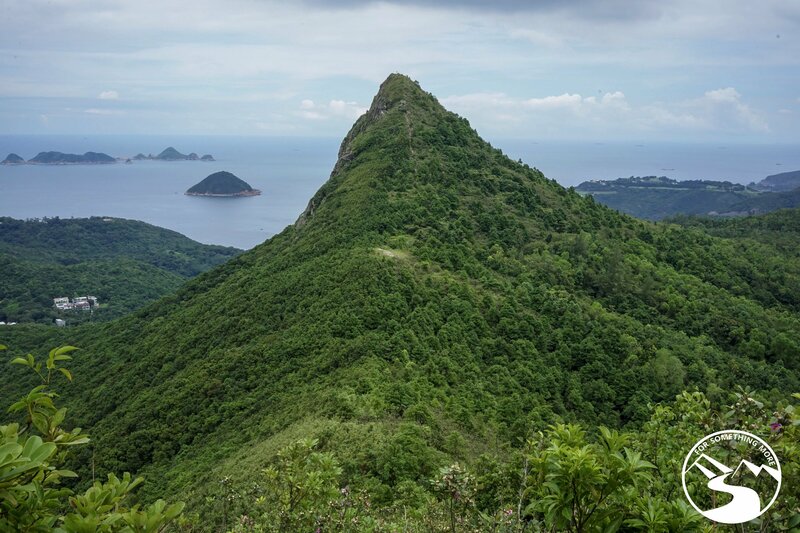 Best of all, High Junk Peak is chock full of SPECTACULAR COASTAL VIEWS looking eastward to Clearwater Bay and beyond. 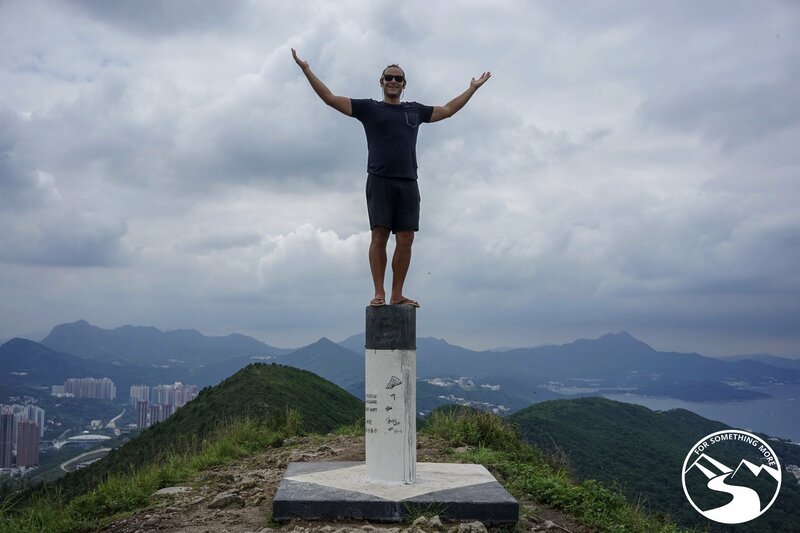 If you’re keen for a bit of a workout and a massive reward of beautiful scenery, you should definitely put High Junk Peak next on your Hong Kong hiking list! 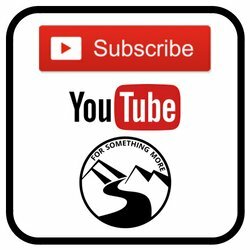 If you’d like us to guide you on High Junk Peak, just click below and send us a message. We’ll get back to you shortly! When you hike High Junk Peak, you’ll want to make sure you have your typical day hiking gear. For us that means we bring the following items. Whether we day hike High Junk Peak or backpack through rural Montenegro, we always have our raincoats with us. The Marmot Precip jackets below are durable, lightweight and affordable, so those are the ones we use! Of course, we always make sure to bring enough water too! 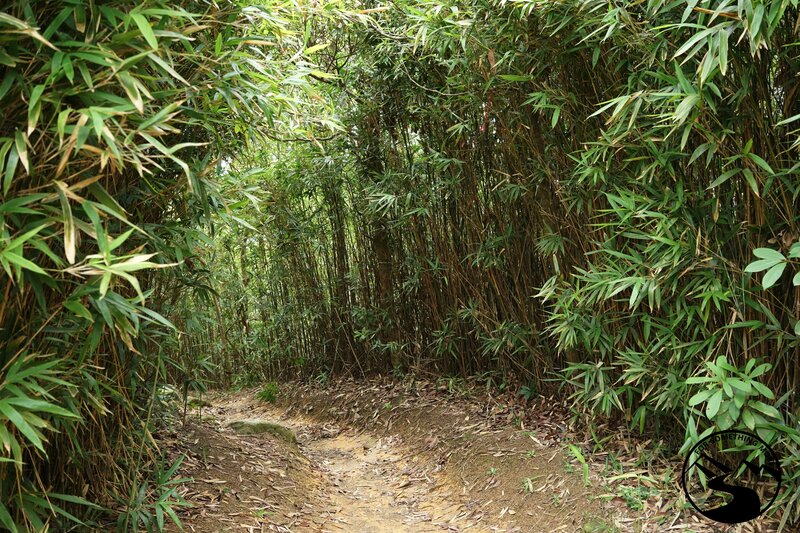 For this hike, in the cooler months, we recommend 2 liters per person. In the warmer months, we recommend 3 liters per person. We like these HydroFlasks because they are insulated. Thus, in the summer we can drink cool water and in the winter warm water. Whether your knees are already bad or if you’d like to keep them from getting bad, we suggest you bring some hiking poles. There some downhills you’ll experience when you hike High Junk Peak, and you’ll be happy to have some poles on those parts. The ones below are lightweight, strong and are small enough to fit inside a backpack. If you hike High Junk Peak in the summer months, you’ll want to make sure to have some sun protection. A wide brimmed hat with a neck protector is a great choice. A sun umbrella is also useful for this purpose. If you plan to use your phone to navigate while you hike High Junk Peak, plan to bring this power bank. It doubles as a wireless SD card reader. That means, if you also bring along this super durable, weatherproof, shockproof and ultralight external hard drive, you can backup your photos right in the field. When we hike High Junk Peak we, of course, bring our camera! The camera and lens below is what we use! Since it’s weatherproof, durable and lightweight, it’s perfect for us! If you’re keen to capture some aerial photos and videos when you hike High Junk Peak, the lightweight and easy to fly Mavic Air is what we recommend. We used it to make the video on this post, and we absolutely love it! Getting to High Junk Peak is quite easy. You can do it completely with public transportation. All you’ll have to do is take the MTR to Hang Hau Station. Thereafter, walk to the bus stop at King Lam Estate King Yung House. 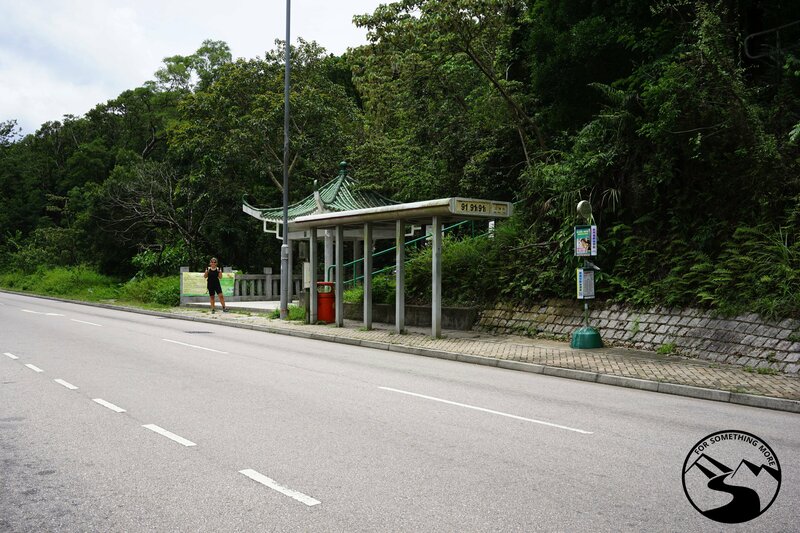 Take the either of the #103 or the #103M green minibus and get off at the Ng Fai Tin bus stop. 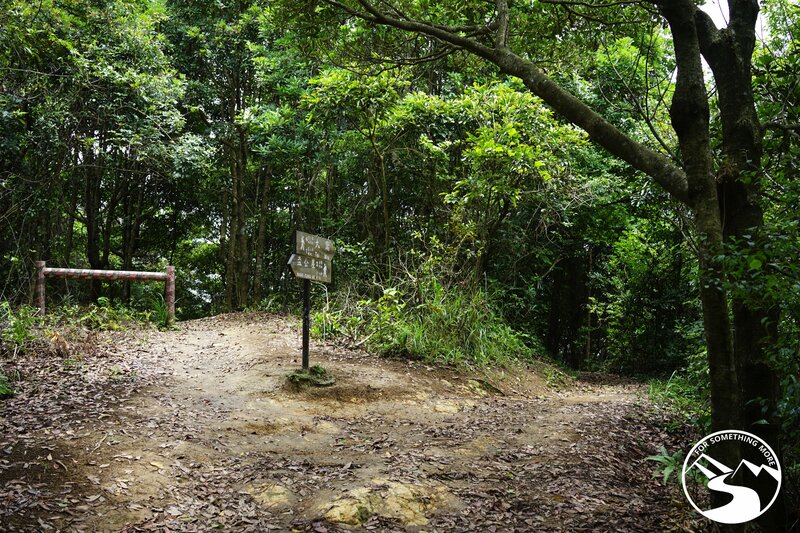 If you need to know when exactly to get off the bus, make sure to use Google Maps to keep an eye on Ng Fai Tin. Right before the stop, say to the drive, “Bus stop please!” or in Cantonese, Bhasy Tsam Mmmgoy. Out route ends at the Clear Water Bay Golf and Country Club bus stop. From there, you can take the #16 green minibus back to the Hang Hau Station and then use the MTR to get to wherever you’re going. Again, if need be, keep an eye on Google Maps to know when you’re arriving back at the MTR. Have a look at our route below. If you’d like to follow along with it when you’re out on the trail, simply use this link to open our hike High Junk Peak route in your Google Maps app, and you’ll be good to go! Again, if you’d prefer to leave the navigating to us, and you’d just like to focus on enjoying the spectacular sights at High Junk Peak, click below, and send us a message. We’ll get back to you shortly! You can also use some of these photos to help you navigate. And of course they will also give you a sneak peak of the GORGEOUS views you will get when you hike High Junk Peak! This is the Ng Fai Tin bus stop. Go left at this sign. That peak off in the distance is High Junk Peak. Make sure to take water breaks. 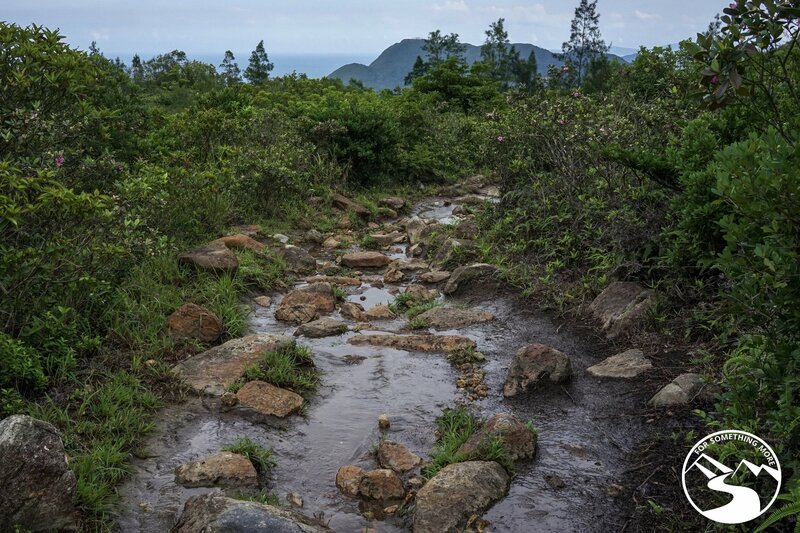 If it’s been raining, there may be a bit of a stream in the trail. Go left at this junction. This is High Junk Peak! 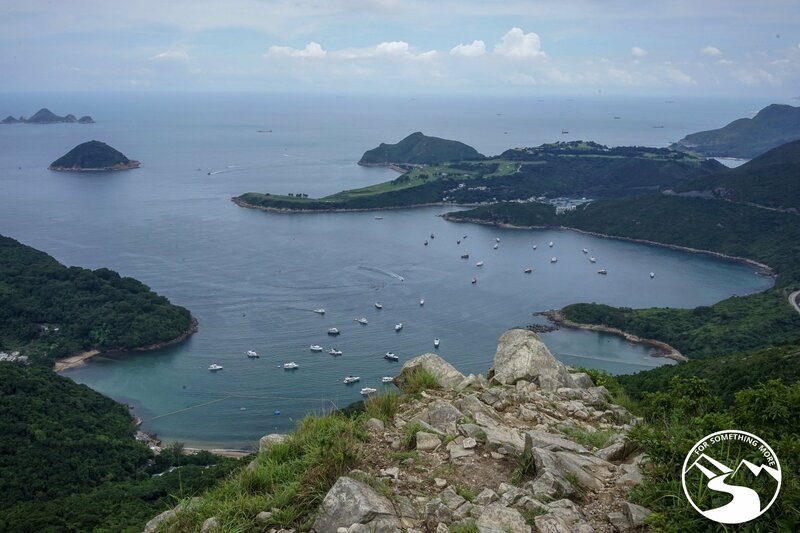 A view of Joss House Bay from atop High Junk Peak. This marker means you’ve reached the top! 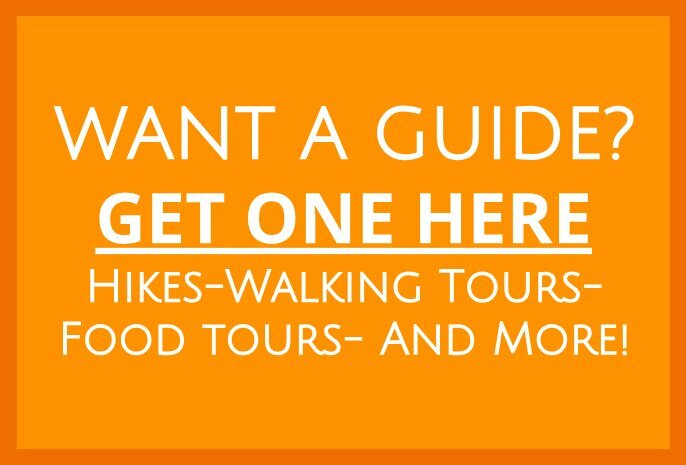 To hike High Junk Peak we recommend you be a solid intermediate hiker. With that said, if you’re a strong beginner and you’re looking for a challenge, why not give this a go. Just make sure you’re properly prepared with the gear we list above, especially water and sun protection. 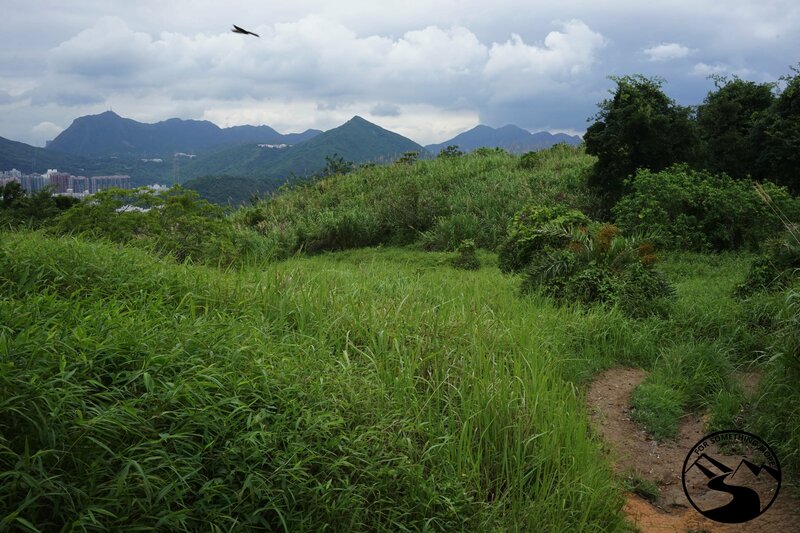 If you are a true beginner of you’ve got some really small children, why not check out the more mellow (and still BEAUTIFUL) Hong Pak Country Trail in Quarry Bay? Intermediate hikers, plan on this taking 3-4 hours. 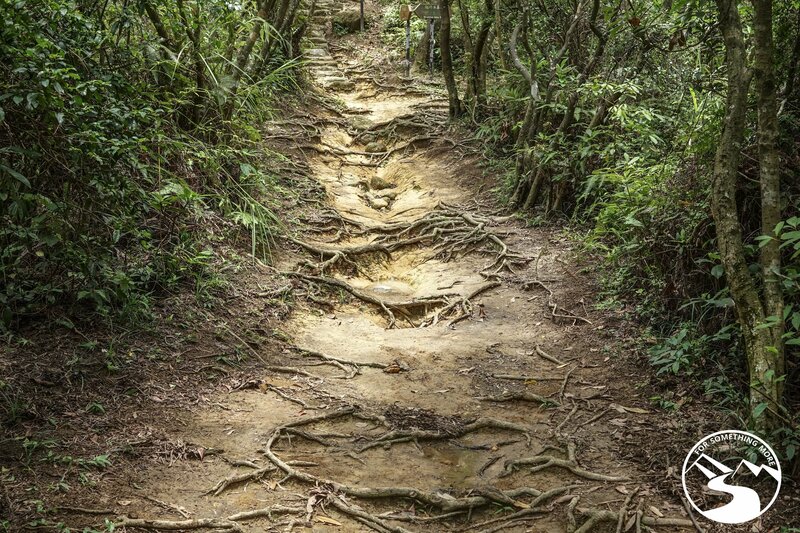 Advanced hikers, plan on this taking 2-3 hours. 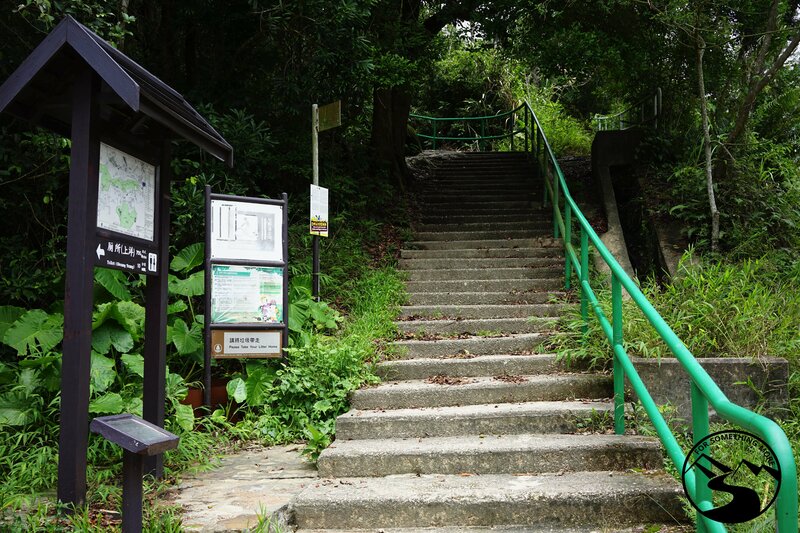 From start to finish, when you hike High Junk Peak you’ll cover ~6.06 km (~3.8 mi). You will experience 360 m (1200 ft) of elevation gain when you hike High Junk Peak. There is no water sources along the route. Make sure you have 2 liters per person in the cooler months, and 3 liters per person in the warmer months. 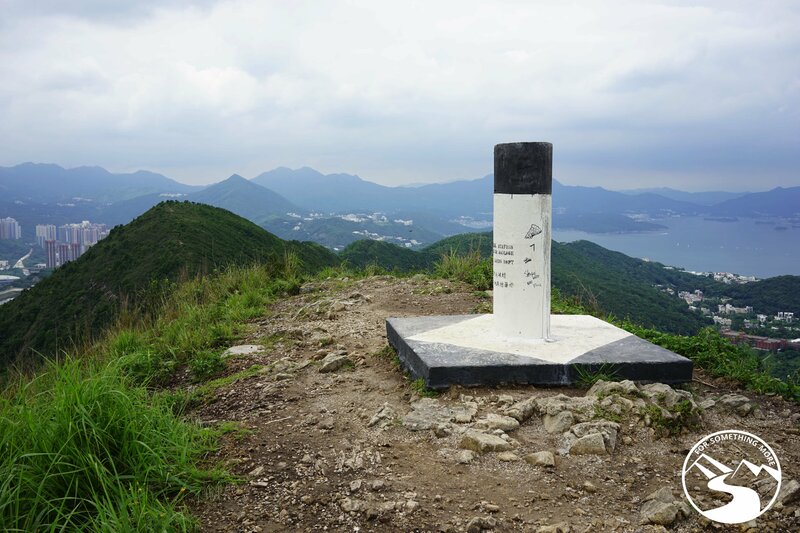 If you’re looking for some other incredible hikes to do after you hike High Junk Peak, you should definitely check out Suicide Cliff in Kowloon or Mt. High West over in Kennedy Town. 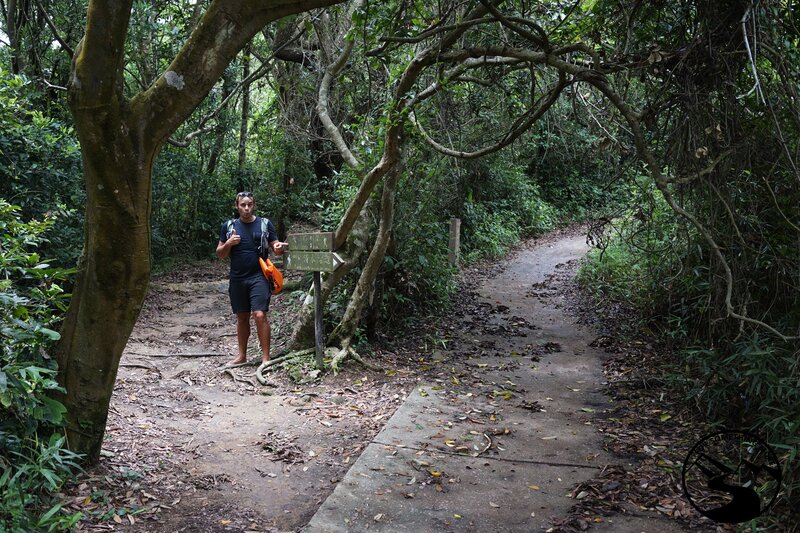 If you’re looking to get far away from Hong Kong Island and to experience some of the most remote and beautiful waterfalls Hong Kong has to offer, you should definitely check out Ping Nam Stream. Well there ya have it! That’s all the information we think you’ll need to hike High Junk Peak! However, if you’ve got any questions, we’re always happy to help. Just leave us a comment below, and we’ll get back to you soon!